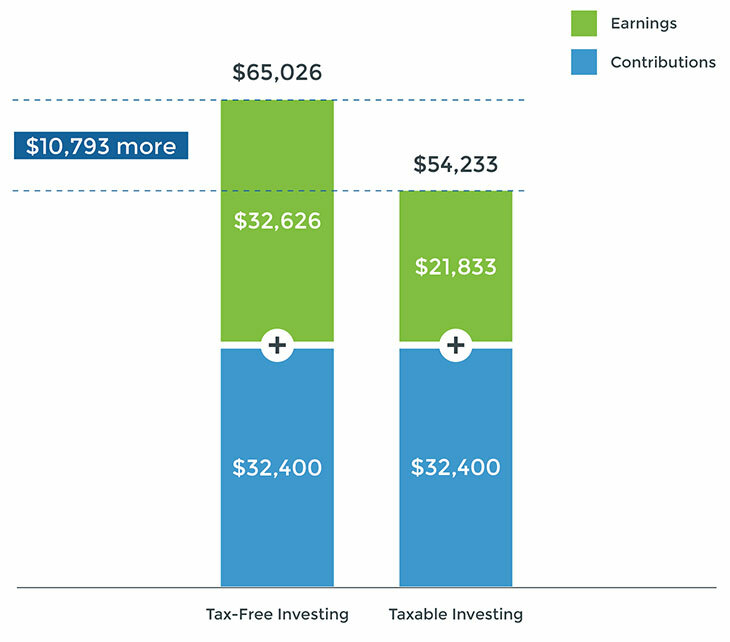 NEST 529 Plan tax advantages. Tax-advantaged savings result in your money working harder for you. How? Contributions to your NEST account are made with after-tax dollars and your earnings grow federally and state tax-deferred while they're invested. Rather than paying taxes on the money you’re earning, it’s being reinvested. All of the investment growth is yours to use. You may not even need to reside in Nebraska to take advantage of state tax benefits. Nebraska account owners are also offered significant tax advantages for investing in NEST, including an annual $10,000 income tax deduction. Get the details. *Amount assumes an annual investment return of 7% and monthly contribution of $150 per month for 18 years. This hypothetical is for illustrative purposes only. It does not reflect an actual investment in any particular college savings plan or in the NEST Direct Plan or any taxes payable upon withdrawal.